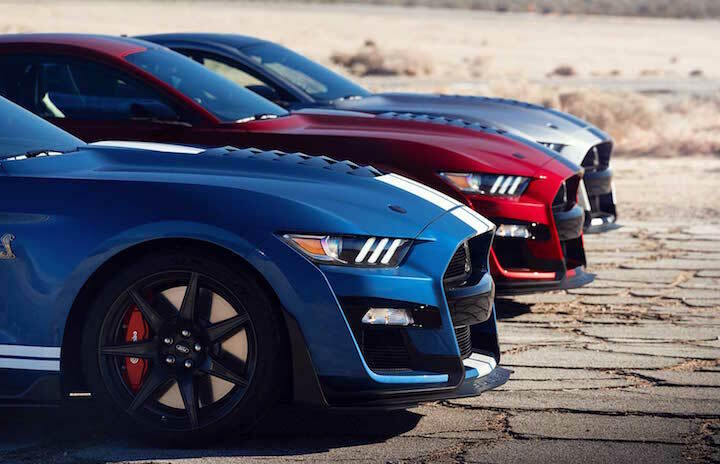 The 2020 Ford Mustang Shelby GT500 will have the same 3-year/36,000 mile bumper-to-bumper warranty, and 5-year/60,000 mile powertrain warranty all Mustangs get, says Ford spokesman Sam Schembari-Negroni. The Ford spokesman said that taking the GT500 to the track won’t void the warranty, but with a caveat. Indeed, if you take the car to a drag strip or test-and-tune event, your warranty is intact. However, Ford is clear that should you enter your 2020 Ford Mustang Shelby GT500 in a bracketed heat at the strip or any track competition, the warranty will be void. Presumably, Ford reckons you will be harder on your car in a bracketed event than you would be at a test-and-tune. We would assume the “any track competition” disclaimer also applies to a road course door-to-door track events. Ford wasn’t specific about taking your car to a track day at a road course. Ford competitors Dodge and Chevy do similar things with warranties for their track-ready rides like the Dodge Challenger and Camaro SS or higher. Dodge does have a disclaimer outlining that issues with cars that occur at the track will be handled on a case-by-case basis, leaving the chance any track-related warranty issues won’t be covered. The 2020 Ford Mustang Shelby GT500 should be quite the beast at the track, and while Ford hasn’t officially announced performance numbers for the car, it has said the GT500 will do the quarter mile in under 11-seconds and hit 60mph in the mid-3-second range. Check out Ford Authority for more Mustang Shelby GT500 news.